Design Engineering’s new custom-fit T4 Titanium Turbo Shield with LR Technology provides the ultimate means of reducing turbo lag while serving as a superior heat barrier, shielding and protecting engine components, hoods and painted surfaces. Made from pulverized lava rock, the T4 Titanium Turbo Blanket, like the T3 Shield, can withstand 1800°F of direct heat, thus reducing underhood temperatures. The result – cooler air intake temperatures for improved performance and a boost in horsepower. Anchoring hooks have been incorporated on the shield to secure on turbo housing. Each T4 Titanium Turbo Blanket kit includes: Shield, 2”x15ft roll of Titanium Wrap, two 14” stainless steel zip ties and 5 feet of fastening wire. 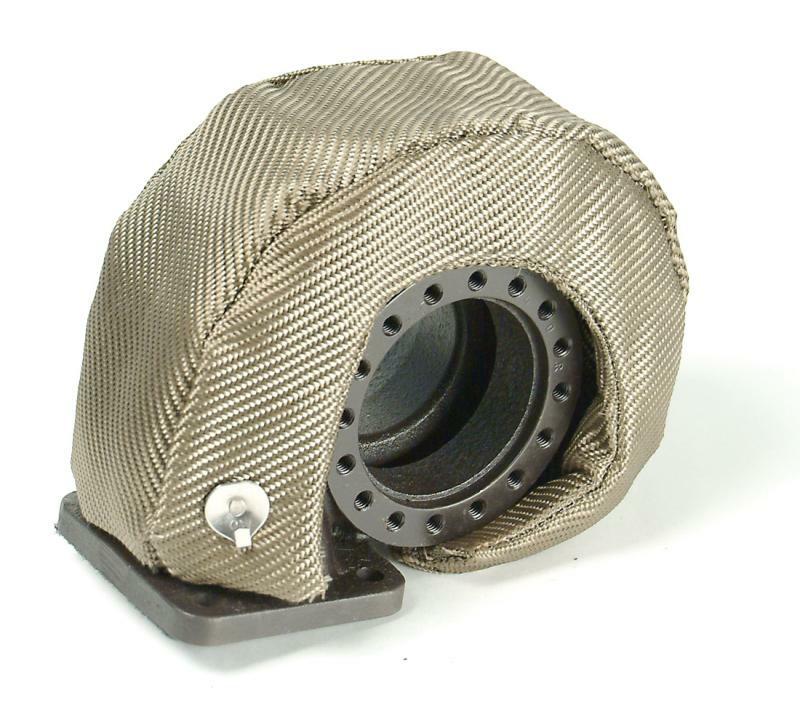 T4 Titanium Turbo Shield with LR Technology offers improved resistance to chemical & hot oil spills, abrasions, temperature and vibration break down.